It’s that time of year again! 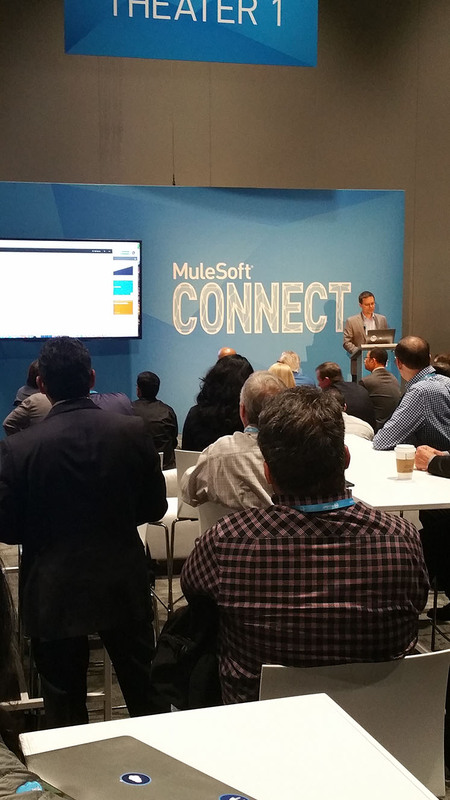 MuleSoft’s big conference, CONNECT, was held last week at the San Jose convention center, and ModusBox was on hand to meet folks, attend sessions, and even give a few demos. It would hardly be a conference without inspiring and informative talks and demos, and CONNECT18 delivered on that promise. 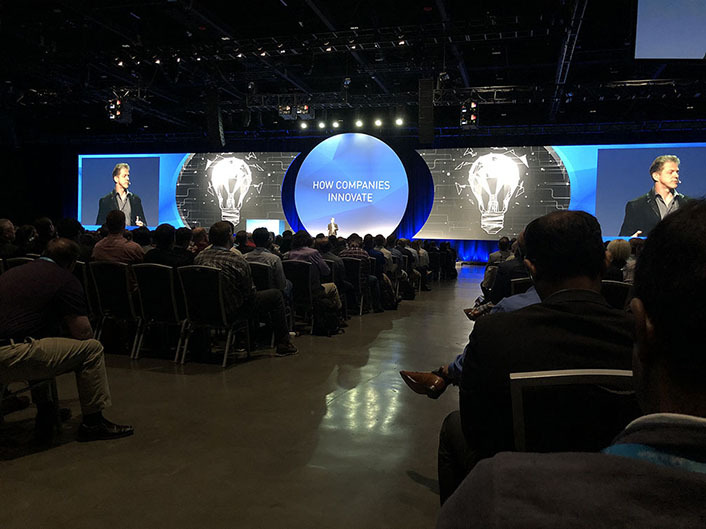 Keynotes included leadership from both MuleSoft and Salesforce discussing the future of API-led architecture, the importance of innovation, and more. The highlight was the fireside chat with Sir Tim Berners-Lee, director of the W3C and inventor of the World Wide Web in 1989. The session covered the range from the general attendee to tracks specific to architects, developers, and the business, like Betty Smith’s presentation on the Top Strategies for Change Management. If you’re interested in the presentations from CONNECT18, MuleSoft has posted the presenter’s slides for viewing on their site. ModusBox also took the spotlight during our Theater presentation on Wednesday of the conference. Kent Brown, ModusBox’s CTO, gave a demo showing attendees how to build an EDI flow in just 10 minutes. The presentation was so well attended that we repeated in our booth on Thursday morning during breakfast. Our booth this year was hoping from Tuesday night when the conference opened until CONNECT18 closed their doors on Thursday. Part of that was certainly thanks to our Gold Sponsor booth. Lots of room and plenty of ModusBox staff on hand to answer questions! But even more was due to the ModusBox team that was manning the booth. We had the business team on hand, like our CEO, David Wexler and our Director of Customer Engagement, Charles Colt, as well as technical experts like our Solutions Architect, Eugene Berman, and our Principal Architect, Steve Scott. 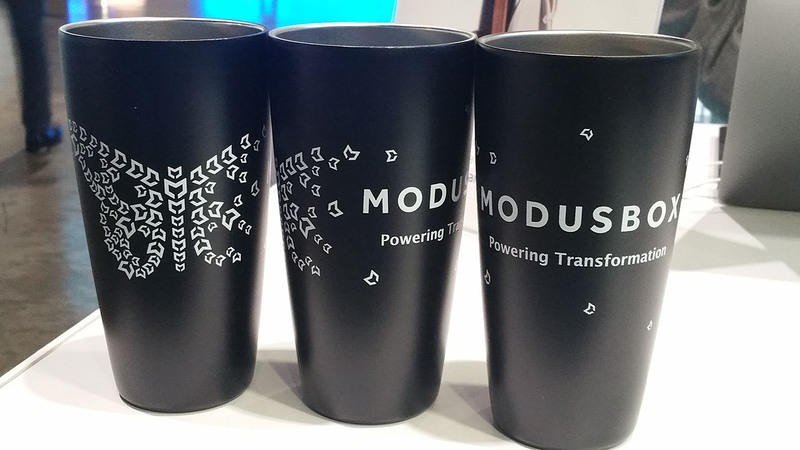 Another year, another amazing ModusBox mug was given away at CONNECT. This year’s cup featured a design that complimented our message of Powering Transformation. Once again, we’ve sourced our mugs from Miir. Giving back is core to their company values, just like ours. As part of that commitment, Miir donates 5% of their profits to trackable giving programs. So, if you got a cup at CONNECT, check the bottom for a give code, enter it on their site and see who the money spent on your cup helped! Thanks again to all who stopped by the ModusBox booth. We’d love to continue (or start!) a conversation with you. Drop us a line and let us know how we can help!